When your socks get wet, you just feel like giving up. Give it another shot! Put on these Timberland PRO Men's TB0A127G 214 Brown Waterproof 6-Inch Composite Toe Boondock Boots, and they'll keep your feet (and socks!) dry all day long. The Boondock style of the ... (see full details) (see specifications) #TMBTB0A127G214. When your socks get wet, you just feel like giving up. Give it another shot! Put on these Timberland PRO Men's TB0A127G 214 Brown Waterproof 6-Inch Composite Toe Boondock Boots, and they'll keep your feet (and socks!) dry all day long. The Boondock style of these Timberland PRO boots is waterproof, and that means you'll have excellent coverage against the elements. Waterproof exteriors, which are a brown distressed leather, work together with the built-in waterproof membranes, which will lock out exterior moisture, leaving your feet feeling dry and comfortable. The premium exteriors of the men's boots will also give you abrasion-resistance, and you'll have blood-borne pathogen protection, too. Dual-purpose top hardware gives you the option for instant lacing customization. Your toes will be well-guarded when you're wearing these brown boots, as they feature composite safety toes and electrical hazard protection. The safety toes are shaped on the TiTAN last for non-metallic protection, and they provide you with a superior fit. With a combination three-quarter Goodyear welt and cement heel construction, these waterproof boots are built to last. They have a rigid external heel cups for lateral stability, as well as dual-density polyurethane (PU) midsoles and cold formula thermoplastic urethane (TPU) outsoles. This low temperature formulation maximizes traction on cold surfaces (tested using SATRA TM144:2007 frosted rough ice surface) and it extends flexibility in cold environments. Deep lugs on the rugged outsoles allow for excellent mud and snow traction, and the outsoles are abrasion- and slip-resistant. They're oil-resistant, too, and they're tested for volume swell using EN345 TMP ASTM fuel A 7 Diesel ISO 1817 liquid F for 22 hours and ASTM IRM903 and fuel B for 46 hours. What does all of that mean? These slip-resistant boots are durable as heck, and they'll prevent you from slipping and taking a dreaded tumble. The interiors of the safety toe boots have anti-fatigue technology, and this dual-density dynamic technology absorbs shock and returns energy at key zones of your feet, while providing you with enhanced moisture management for all-day comfort. The mesh lining in the men's footwear has anti-microbial treatment for odor control. 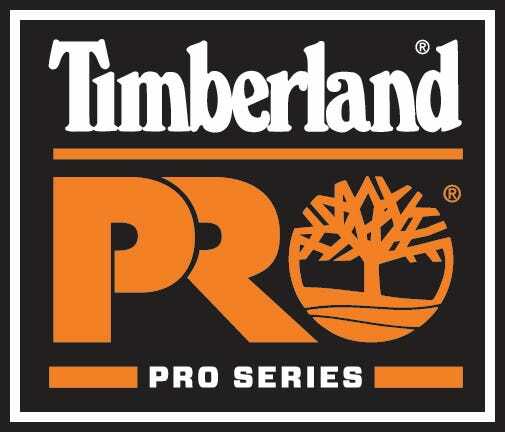 This Timberland Pro footwear comes with a 30-day comfort guarantee, so you know your feet will rest on plenty of cushioning in these! At 6 inches in height, you'll have great coverage with these Timberland Pro Men's TB0A127G 214 Brown Waterproof Composite Toe Slip-Resistant Boondock Leather Boots. Order yours from Working Person's Store today! These are by far the most comfortable works boots I have set my feet in. The leather can take a beating and without taking forever to break into. Great absorbing impact. I'll definitely by these again once I need to. These boots are very durable and look really well. The leather is of good quality and they prove to hold up. On the flip side they hurt my feet by the end of the day and I've had these boots for some time so I know they are broken in. (5 months and probably 300 miles on them) These boots aren't for me, I do have plantar tendonitis which might be why they are not the right boot for me. Just wanted to thank you all! I have been looking for just the right work boot for my husband for years now and finally my search is over. I loved your website - I was able to see what the whole boot really looked like and it was so easy to use the site. My husband was pleased with how quickly we received the order. We normally wait 2 weeks from the local Red Wing store. But thanks to you he is now wearing Wolverines and loves them. He is now telling all the guys at work about your site. I just wanted to let you know we will now be regular customers. Thanks again to everyone for the great job. Timberland Pro Boots: Men's TB0A127G 214 Brown Waterproof Composite Toe Boots is being added to your cart.